Here at Lancaster Dodge Ram FIAT, you'll encounter a number of top-notch opportunities for leasing a FIAT 124 Spider convertible in Lancaster, Pennsylvania. But is a car lease the best option for you? While auto leases are an excellent choice for some, they aren't for everyone. If you drive fewer than 12K miles a year and don't put more than a normal amount of wear and tear on your vehicles, a car lease might be a perfect fit. If, however, you want to own your car for years to come and not have to worry about going over a certain number of miles every year, an auto lease might not make sense. If you're looking to lease a FIAT 124 Spider convertible in Lancaster, PA, we're here to help make it happen. A classic in the world of luxury sports cars, the FIAT 124 Spider convertible has been delivering sophisticated Italian style to open roads everywhere since 1966. Powerful, precise, and agile in its handling, this unrivaled sports car lets you take to paved curves and long stretches of tarmac with the greatest of ease. If you're looking for the kind of sports car where sleek aesthetics, genuine style, and high-quality performance converge, the FIAT 124 Spider convertible is it. 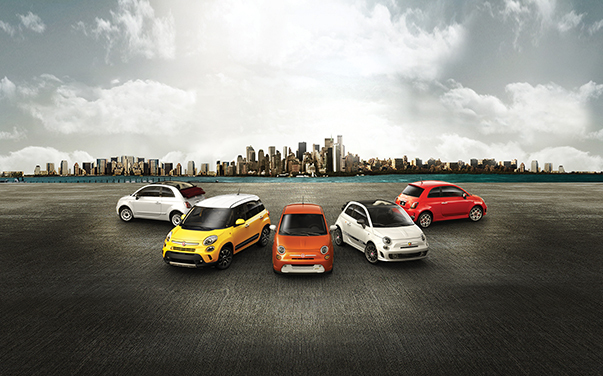 Stop by Lancaster Dodge Ram FIAT today to check out our FIAT vehicle inventory! Whether a FIAT lease is up your alley, or you're interested in exploring our FIAT financing options, the team of experienced car financing professionals here at Lancaster Dodge Ram FIAT is excited to work with you. And because we have great options when it comes to bad and no credit car financing, as well as getting the top trade-in value on your current vehicle, there's no reason to not work with our expert team. Want to learn more about how you can lease a FIAT 124 Spider convertible in Lancaster, PA? It's easy, pick up the phone and give our finance center a call today.